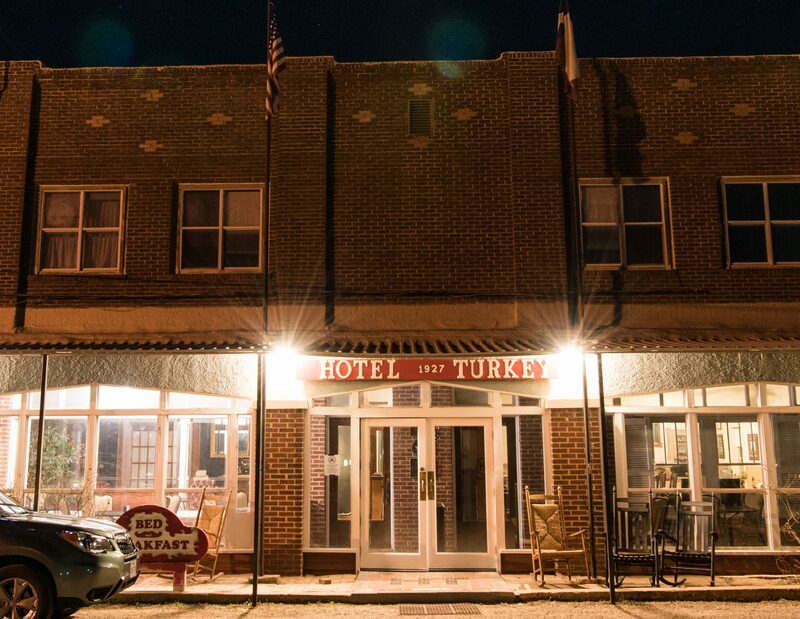 The Hotel Turkey is a historic hotel located in Turkey, Texas, United States that originally opened in 1927. The building was added to the National Register of Historic Places on October 24, 1991. The hotel traditionally hosts the musicians who come to Turkey for the annual Bob Wills Day celebration on the last Saturday in April. George W. Bush, while still governor of Texas, once stayed at the hotel with his wife, Laura. The hotel has had several owners including Gordon & Totsie Bain, Scott & Jane Johnson, Gary & Susie Johnson, John & Mona Bowles, and the most recent, a local rancher, Cody Bell, of Turkey. Cody owned the hotel from 2011-2015. Local residents of Turkey, Pat & Tina Carson, purchased the hotel from Cody and have started to renovate the hotel into a center for community activities as well as welcome guests from all over. One of the highlights for us since owning the hotel has been being featured in the Texas Techsan, the magazine for Texas Tech Alumni. See the issue here.